Independent small batch distillery, Poetic License, has introduced a new spirit to its range. Fireside Gin is a limited edition gin available for autumn/winter. It is the distillery's second seasonal offering and comes following the success of its first, Picnic Gin, a strawberries and cream flavoured gin, which was available throughout the summer of 2016. 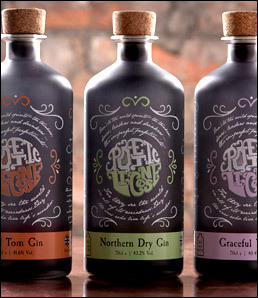 Poetic License is a small batch distillery based in the North East. It has a 500-litre still called Gracie, housed in a bar of the same name, and three core products, Northern Dry Gin at 43.2%, Old Tom Gin at 41.6% and Graceful Vodka at 40.4%. Poetic License Distillery aims to begin producing more limited edition runs which it is calling The Rarities, early next year. These will be one batch distillations, each creating around 400 bottles.